We are a family owned and operated business. We have been working in the Central Florida area for over 30 years. 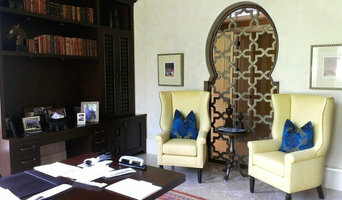 We are very proud of the services in furniture restoration, ReUpholstery and custom cabinetry. We produce nothing but top quality and craftsmanship in all of our projects. Our customer service is outstanding and something we take very seriously. We work in the Residential and Commerrcial Industry. We work with Designers, Homeowners, and Corporations. Essentially, upholsterers work with fabric to cover seating, bedsprings, cornice boards, pillows and other furnishings and interior elements. They also might attach or replace padding and batting, trim a piece with fringe or another border, add piping and tufting, fashion slipcovers and refinish wood. Some upholsterers are skilled at furniture construction and repair. They can also advise you about the pros and cons of different fabrics so you can choose the best type for the project in your Orlando home. Find an upholsterer on Houzz. 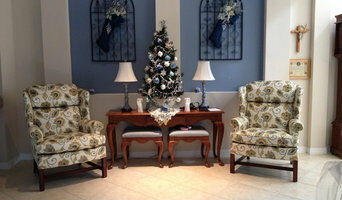 Narrow your search in the Professionals section of the website to Orlando, FL upholstery. 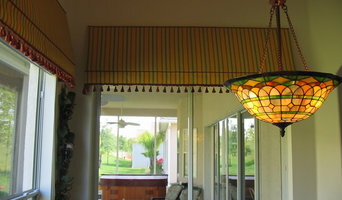 You can also look through Florida photos for projects similar to yours, and contact the designer for upholstery information.